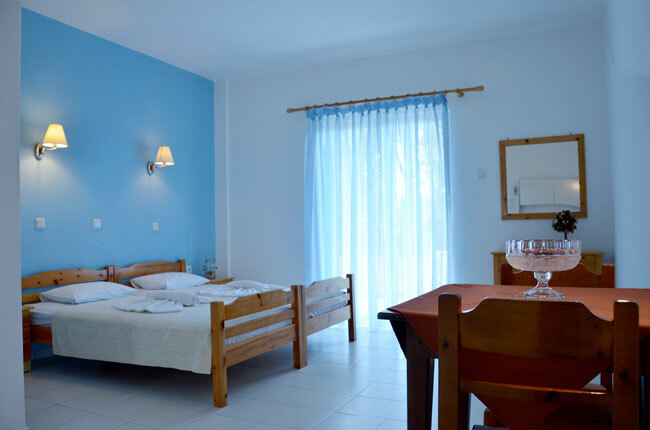 The small yet sophisticated complex of Amarilia Studios located in Skala Rachoni on Thassos island, offers high quality services for a reasonable price, for those of you who want to visit our island and gain some unforgettable holiday memories. 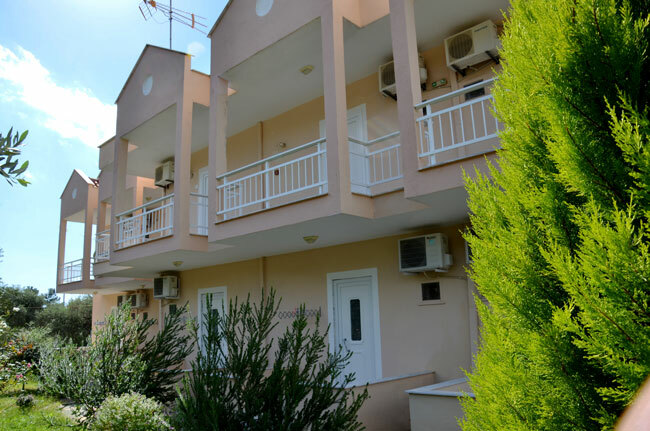 Skala Rachoni is located on the west side of the island, very close to both ports of Thassos island, Limenas (ferry connection to Keramoti) and Prinos (ferry connection to Kavala). 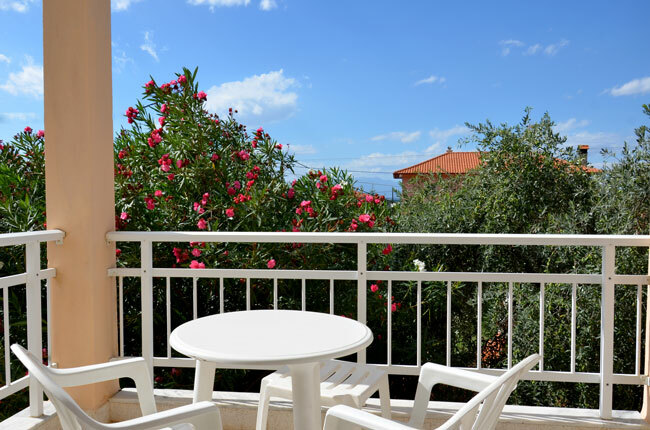 Amarilia Studios are located in a beautiful olive-tree garden and most importantly, at a walking distance from a sandy beach with turquoise, crystal clear waters. 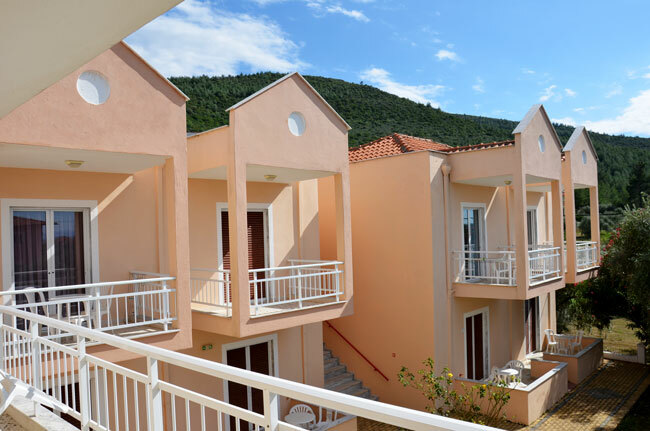 Be prepared that the sandy shores combined with the virgin nature of the island will take your breath away. 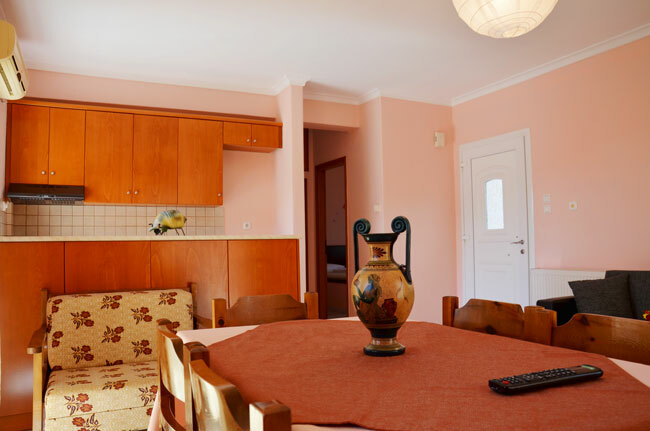 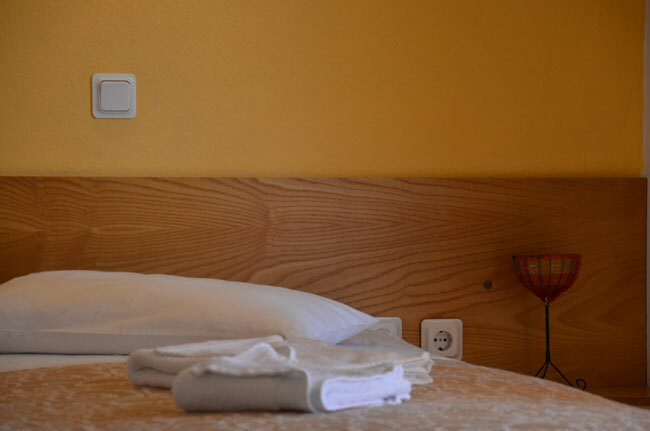 In Amarilia Studios we are proud of our family atmosphere, and our studios are ideal for families or groups of friends, since they are spacious and well kept. 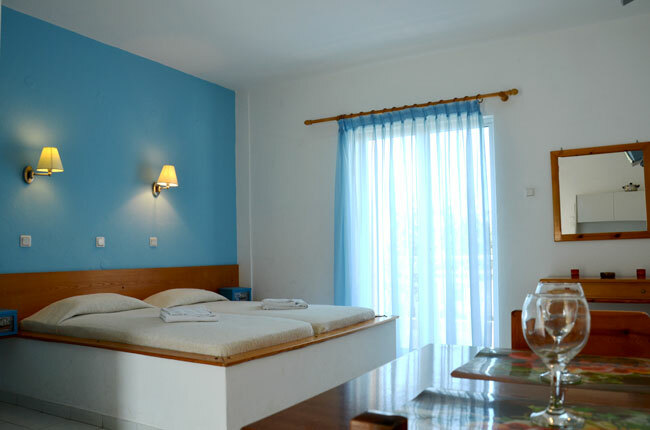 For a dreamy holiday on Thassos island, visit Amarilia Studios in Skala Rachoni and luxuriate in tranquility!